Zoë is an Associate Professor in Criminology at the University of Plymouth. Her key research interests lie in policing and diversity issues. Zoë worked for the Home Office Research and Statistics Directorate in the 1990s and subsequently completed her PhD at the University of Surrey on the policing of New Travellers. 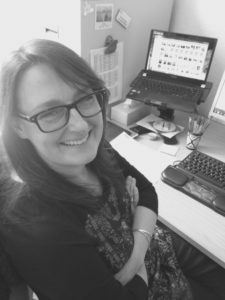 Since joining Plymouth University in 1999, Zoë has gone on to research further issues relating to policing, particularly focusing on Gypsies, Travellers and Roma. Additionally her work has examined the accommodation and control of Gypsies, Travellers and Roma from a critical criminological perspective. Zoë has presented and published her work nationally and internationally. Zoë is Associate Head of School for Criminology at the University of Plymouth and lectures undergraduates and postgraduates on criminology and policing. Zoë’s current research explores Gypsies, Travellers and Roma experiences of hate crime and policing responses to them.